We’d love your help. Let us know what’s wrong with this preview of Stealing Vengeance by Kaylea Cross. The government created Megan, transforming her into a Valkyrie—a deadly operative only whispered about in certain circles. They took everything from her and made her into a weapon. Now someone is leaking secret information about her sisters-in-arms, betraying them for money. Loyal Unto Death is the Valkyrie motto. She’s an expert at getting into places she doesn’t belong. 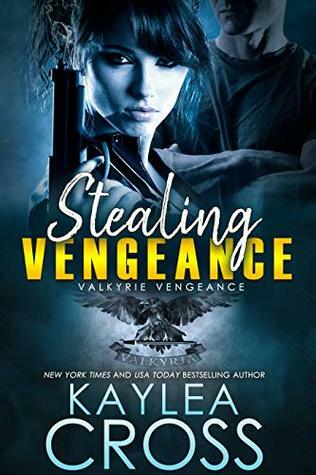 Expected publication: May 28th 2019 by Kaylea Cross Inc.
To ask other readers questions about Stealing Vengeance, please sign up. I found out about Valkyrie girls after I read Briar’s story Disavowed.